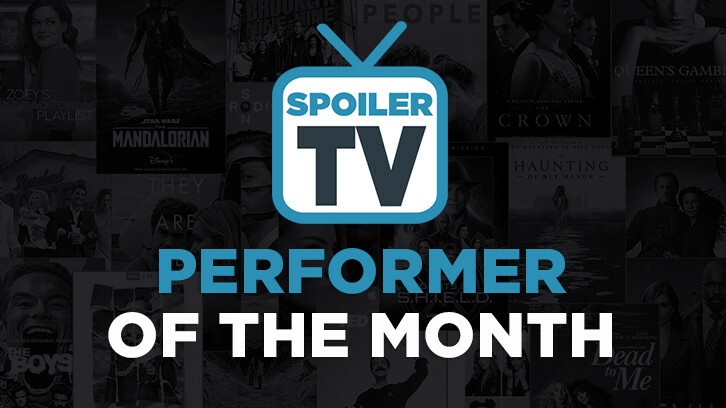 November sweeps always produce amazing performances and this November was no exception. There were a ton of noteworthy performances so it'll be fun to see who will win. Before you take off to nominating please read the new rules very carefully. Please note that a performer can now only win once per year and a show can only be represented by two winners per year. No exceptions will be made for any performer or show, so please use thoughtful consideration when making your nominations. You will have to fill out the submission form for each nominee you submit. You can submit the document up to 5 times, but each entry must be for a different performer or all of your other nominations will be disqualified. The Top 5 most nominated actresses and Top 5 actors will be placed in the poll next week to determine the Reader's Choice Performer of the Month. Take note that because two performers have already won for Grey's Anatomy and The 100 this year, the other performers on the show are ineligible for the rest of the year. They will all become eligible again at the start of the 2019 cycle of POTM. After you place your nominations take a moment to use the comments section to discuss your nominees with others. Episode number for the nominees is critically important, so discuss with others why you think a performer deserves to be recognized for a specific performance within a single episode. Nominations will run until December 7th at 6 pm ET. The poll will post on December 8th at 6 pm ET. Last month it became obvious that the best format for entering the episode number is season number then episode number. So you can either enter the episode number as 101 or 1.01. Either will work on the form and both will be accepted.